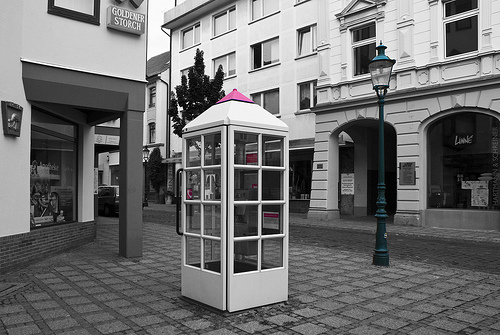 T-Mobile USA has completed a robust $5.6bn bond issue amidst talk of a potential takeover. The deal consisted of five senior notes. Four tranches, with maturities of 5.5, 6.5, 7.5, and 8.5 years were issued with a value of $1.25bn each. The remaining tranche, worth $600m, has a maturity of 9.5-years. All securities opened sturdily with only the 9.5-year note pricing slightly below par. The yield-to-maturity for these bonds were 6.033%, 6.632%, 7.128%, 6.541% and 6.887% respectively. Moody’s rated the bonds at Ba3, three grades below investment standard. The company sweetened the deal by offering a substantial 50 basis point new issue concession (this is the additional yield provided by new debt over the secondary market yield for the same security). By comparison, T-Mobile’s $500m transaction in August only offered a 25-30 basis point concession. Dish, the satellite provider, and Sprint are leading candidates to acquire the telecoms company, but this would signal bad news for bondholders. “If they do sell T-Mobile, that might not be a good event for any bonds that were bought above par, given the change of control language,” said the telecoms specialist. A takeover is likely to increase the company’s debt burden, causing the value of existing bonds to fall. COC’s (change of control clauses) would allow the bondholder to sell the security back to the issuer at a set price. In this case, T-Mobile’s COC allows the holder to return the bond at a price of 101 in the event that the debt is downgraded by two ratings agencies. The deal accounts for half the liability taken on by Deutsche Telekom (DT), T-Mobile’s parent company, when it acquired a 74% stake in pay-as-you-go carrier MetroPCS Communications. The remaining debt held by T-Mobile, which is resettable, is unlikely to be resold according to CreditSights. Firms have been keen to capitalize on low interest rates by issuing debt, but the Fed is widely expected to taper its $85bn in asset purchases by 2014. This is the latest in a string of high value deals to hit the market in recent months. Earlier this year, Apple sold $17bn worth of bonds but this was surpassed last month by Verizon’s $49bn issue, the largest sale of corporate debt in history. BRIEF: Write up this statement in about 150 words (source at bottom of page). Time: 40 minutes including research. 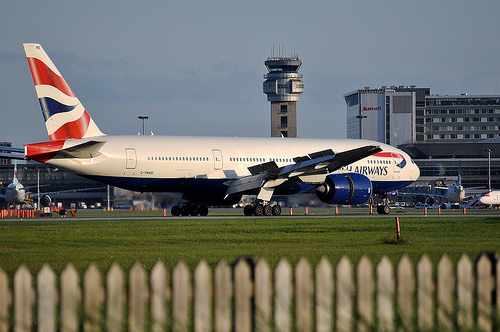 British Airways (BA) have issued a $927m publicly traded-bond issue which uses aircraft as collateral. Enhanced Equipment Trust Certificates (EETC’s) are common amongst US airlines, but the deal is the first of its kind carried out in the UK. Two classes of certificates will be on offer, one with an annual coupon of 4.625% and the other a coupon of 5.625%. Both bonds pay out quarterly and have a maturity of a year. BA’s 2011 merger with Spanish airline Iberia has given the company access cheap debt according to an equities analyst from Goldman Sachs. Citi was responsible for structuring the deal, which has been rated (A/BBB) by Standard and Poor’s. International Consolidated Airlines Group, S.A. (“IAG”) today announces the successful launch by British Airways of an inaugural $927 million publicly-traded bond issue, using aircraft as collateral. These bonds are known as EETCs, or Enhanced Equipment Trust Certificates, and are a form of aircraft financing commonly used by US airlines. The transaction includes Class A and Class B Certificates with an underlying collateral pool made up of six new B787-8 aircraft, two new B777-300 ER aircraft and six new A320-200 aircraft, due for delivery between June 2013 and June 2014. The Class A Certificates ($721.6 million) have an annual coupon, payable quarterly, of 4.625%, and the Class B Certificates ($205.4 million) have an annual coupon, payable quarterly, of 5.625%. Enrique Dupuy, CFO of IAG said: “This transaction marks a strategic milestone as we diversify our sources of funding. It is also the first time that British Airways has used EETCs and that this form of financing has been used in the UK”. The transaction is rated by Standard and Poor’s (A/BBB), Moody’s (Baa1/Ba1) and Fitch (A/BBB-). Citi acted as Lead Structuring Agent and Global Co-ordinator on the transaction.